A new raw bar and grill from a high-profile chef has opened its doors. Located at 132 The Embarcadero, Angler comes courtesy of chef Joshua Skenes, who is behind the three-Michelin-starred Saison. As we reported last year, the new spot accommodates roughly 100 diners, with room available for private parties. Guests can enjoy views of the wood-burning hearth and San Francisco Bay. The ever-changing menu draws inspiration from fresh, locally sourced ingredients. 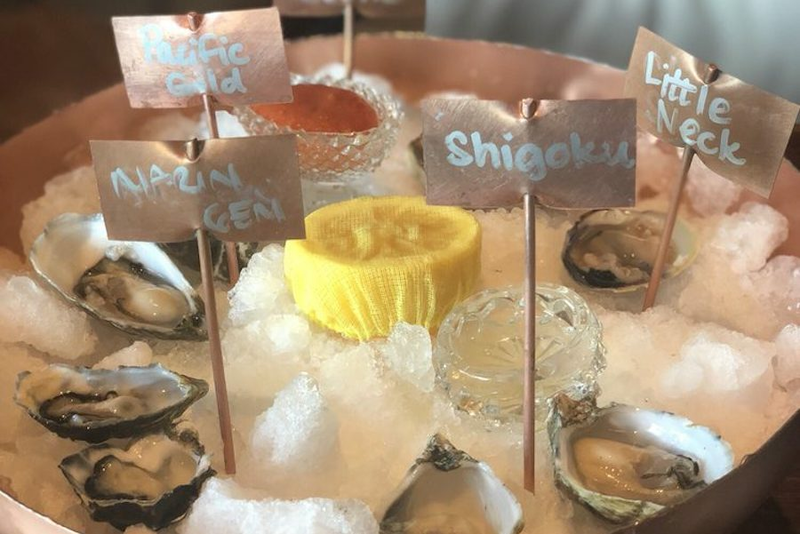 Recent options have included Pacific Gold oysters, Cherry Stone clams, caviar, fried blowfish tails and hot fried rabbit. There's also a full bar with cocktails, and a deep wine list with an emphasis on Burgundy. With a 4.5-star rating out of 10 reviews on Yelp so far, Angler has been warmly received by patrons. Sean L., whoreviewed the new restaurant on Sept. 26, wrote, "With the introduction of Angler, chef Joshua Skenes has brought forth a distinct cuisine worthy of the highest accolades. You would be hard-pressed to find a more original, American style of cooking." And Helen Y. noted, "Everything was impeccable, especially the service! Highly recommend the caviar with Parker House rolls, the porterhouse steak and the abalone! For dessert, my favorite was the coffee ice cream, milk soft serve and fresh fruit (it's abeautiful presentation too)."